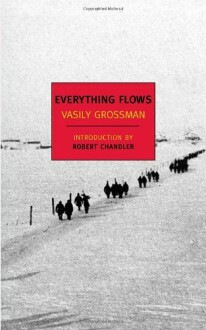 A New York Review Books OriginalEverything Flows is Vasily Grossman’s final testament, written after the Soviet authorities suppressed his masterpiece, Life and Fate. The main story is simple: released after thirty years in the Soviet camps, Ivan Grigoryevich must struggle to find a place for himself in an unfamiliar world. But in a novel that seeks to take in the whole tragedy of Soviet history, Ivan’s story is only one among many. Thus we also hear about Ivan’s cousin, Nikolay, a scientist who never let his conscience interfere with his career, and Pinegin, the informer who got Ivan sent to the camps. Then a brilliant short play interrupts the narrative: a series of informers steps forward, each making excuses for the inexcusable things that he did—inexcusable and yet, the informers plead, in Stalinist Russia understandable, almost unavoidable. And at the core of the book, we find the story of Anna Sergeyevna, Ivan’s lover, who tells about her eager involvement as an activist in the Terror famine of 1932–33, which led to the deaths of three to five million Ukrainian peasants. Here Everything Flows attains an unbearable lucidity comparable to the last cantos of Dante’s Inferno.